I have picked Fatma Belkıs' "Those Who Left" and "Those Who Stayed" about a year ago, to discuss in the book club in BAS gathering once a month. In this gathering we try to meet once a month whenever possible, and think about one of the photobooks in BAS collection, I kept going round in circles to explain the main idea behind these books and failed. 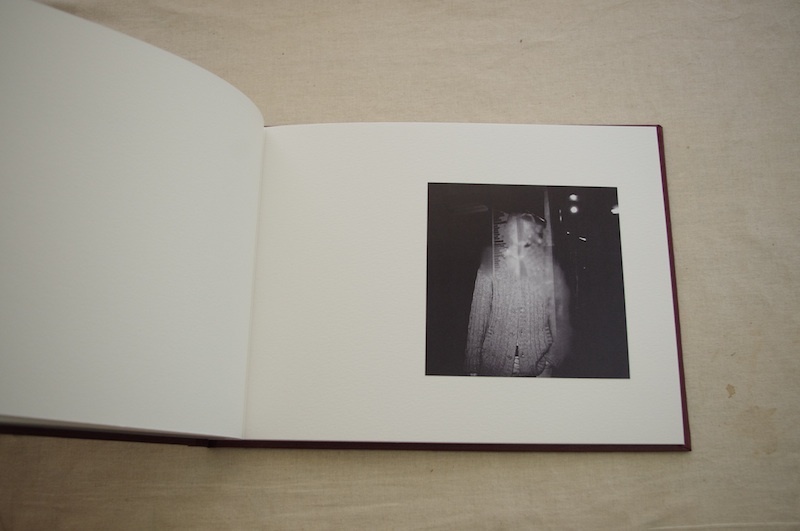 I was meant to try again on the occasion of this update, Orta Format which focuses on photobooks. First of all, I have to remark that I consider myself as an emergent photographer. My love-and-hate relationship with photography has a fourteen (14 in numbers) years of history. Therefore, like in every separation, everything reminds me of it and my conceptual problem with it. And from the first time I saw Fatma Belkıs' books, I secretly think we have some secret bond. It is as if these books are about photography itself, rather than young people who leave and stay. I have to take a step back and explain the books. "Those Who Left" is an object which arises the wish to immediately open it and know about those who left, with the artificial leather aesthetics, the size of photograph albums, the cover on which "Gidenler" is written in gilded letters. I say object, because the smell of the book, the feeling you get when you touch it, and the fact that it plays with the idea of well-known family albums, it begins to play with specific codes in our memories even before we open the book. The photographs in "Those Who Left" are black and white, square framed, placed on the right side of the pages, in a simplicity you won't expect from a family album. When you start studying the photographs which seem at first glance like portraits taken in different places, you come to notice all the faces are blurred somehow, annihilated through some minor violence. Those obscure faces in contradiction with the "sharp" aesthetics of high-contrast photographs, creates a cult between the pages indicating that there is a common ground between these people who dress differently and spend time in different places. Who are these people? They are those who left. The letter squeezed inside the book intensifies this cult status, and establishes a relation between the viewers who are there, readers and those who left. This letter, instead of an answer to my questions, creates a bigger confusion. 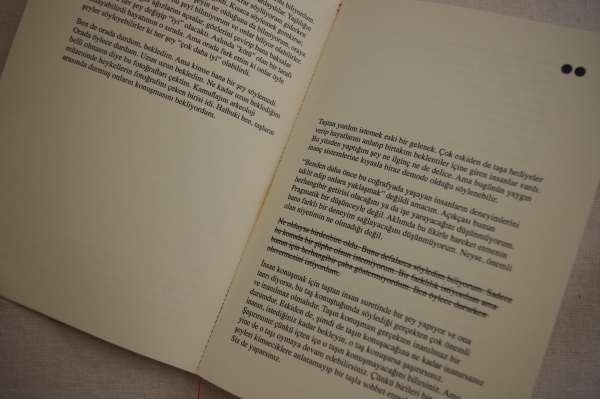 The fact that there is a textual scope within Fatma Belkıs' narrative, seems to increase the puzzle pieces and touch upon this issue of storytelling in photography. It is as if this attached letter makes fun of the viewer's instincts intending to know more, "understand" and "read" more. Are you curious, so there is your letter, you are more confused now, so let it be! "Those Who Stayed" has a completely different aesthetics as an object. 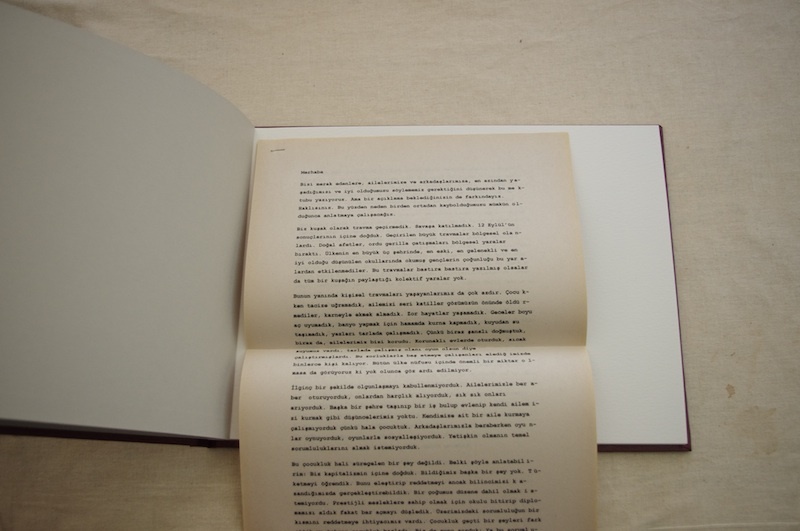 Sewn binding, fanzine dimensions, rectangular framed photographs enclosed at upper half of the page. The statues we see in close-ups seem not to be aware of their "solid"ness; they give the impression that they pose from different angles. These carved stone pieces which we look at in a way to satisfy our peeing-tom instincts, seem to tell us something about photography itself, the moment it freezes, the decontextualization. Like when you take a photo of your lover, it seems s/he ceases within that moment, in that posture, that feeling, in "Those Who Stayed" you have a similar feeling. It is as if what turns into stone, is not these young people who rebel against their parents, but us who can't keep their eyes off. And maybe the ideal subject of photography is the stone, because a stone never complains, it never moves, it is relatively easier to do the white balance than human skin. Another aspect distinguishing between "Those Who Stayed" and "Those Who Left" is that the texts explaining "Those Who Stayed" are in the first pages of the book. In other words, the records and the photographs are under the same roof, and this aspect acknowledges the fact that the photographs start saying something through the texts. Why the photos of statues are gathered here, in this book? There you have your answer. The letter as a "supplement" in "Those Who Left" and the fact that "Those Who Stayed" incorporates its own text, is one of the many passes these two books make. "Those Who Left" and "Those Who Stayed" seem to harbor each others' thesis-antithesis just like their names indicate. On the one hand, a photographic approach arising in one memories, smells, feelings, and on the other, a banal one, common rather than original, with its aesthetics of photocopy. The common point of these two books is actually the fact that we cannot figure out anybody's privacy let alone their identity. Neither the statues nor the young people who left are intelligible. It is as if how much the photographs show and not, is the main theme drawing these two close to each other. Instead of telling a story through a photobook Fatma Belkıs focuses on the lack of a story. In Philip Roth's "Exit Ghost" when Nathan Zuckerman talks about E. I. E.I. Lonoff's stories, he argues that Lonoff's problem is not representation, but thinking about narrative. It seems that Fatma Belkıs' photographs have a similar concern. In fact, Fatma Belkıs gives us who can't satisfy their curiosity, clues about what we expect from photographs and portraits.